Intelligent people are less likely to conform and, thus, are more likely to resist religious dogma. Intelligent people tend to adopt an analytic (as opposed to intuitive) thinking style, which has been shown to undermine religious beliefs. Intelligent people may have less need for religious beliefs and practices. 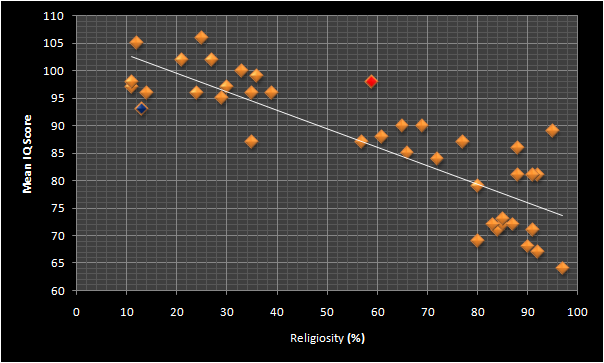 In a 2013 meta-analysis of 63 studies, led by Professor Miron Zuckerman, a negative relationship between religiosity and IQ was particularly strong when assessing beliefs (which in their view reflects intrinsic religiosity) but the negative effects were less when comparing with behavior (such as church going). They note limitations on this since viewing intrinsic religiosity as being about religious beliefs represents American Protestantism more than Judaism or Catholicism, both of which see behavior as just as important as religious beliefs. They also noted that the available data did not allow adequate consideration of the role of religion type and of culture in assessing the relationship between religion and intelligence. Most of the studies reviewed were American and 87% participants in those studies were from the United States, Canada, and the United Kingdom. They noted “Clearly, the present results are limited to Western societies.” The meta-analysis discussed three possible explanations: First, intelligent people are less likely to conform and, thus, are more likely to resist religious dogma, however this theory was contradicted in mostly atheist societies such as the Scandinavian populations, where the religiosity-IQ relationship still existed. Second, intelligent people tend to adopt an analytic (as opposed to intuitive) thinking style, which has been shown to undermine religious beliefs. Third, Intelligent people may have less need for religious beliefs and practices, as some of the functions of religiosity can be given by intelligence instead. Such functions include the presentation of a sense that the world is orderly and predictable, a sense of personal control and self-regulation and a sense of enhancing self esteem and belongingness. 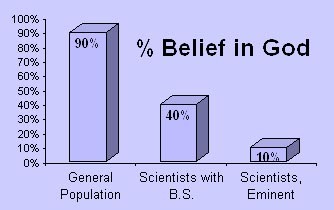 Belief in a god and average Intelligence Quotient from Lynn, Harvey & Nyborg. Researcher Helmuth Nyborg and Richard Lynn, emeritus professor of psychology at the University of Ulster, compared belief in God and IQs. Using data from a U.S. study of 6,825 adolescents, the authors found that the average IQ of atheists was 6 points higher than the average IQ of non-atheists. The authors also investigated the link between belief in a god and average national IQs 137 countries. (For the purposes of this article, it should be noted that ‘belief in a god’ does not correlate with ‘religiosity’. 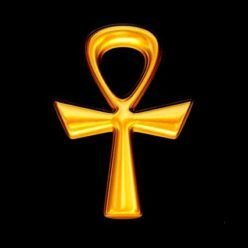 Some nations have high proportions of people who do not believe in a god, but who may nevertheless be highly religious, following non-theistic belief systems such as Buddhism or Taoism.) 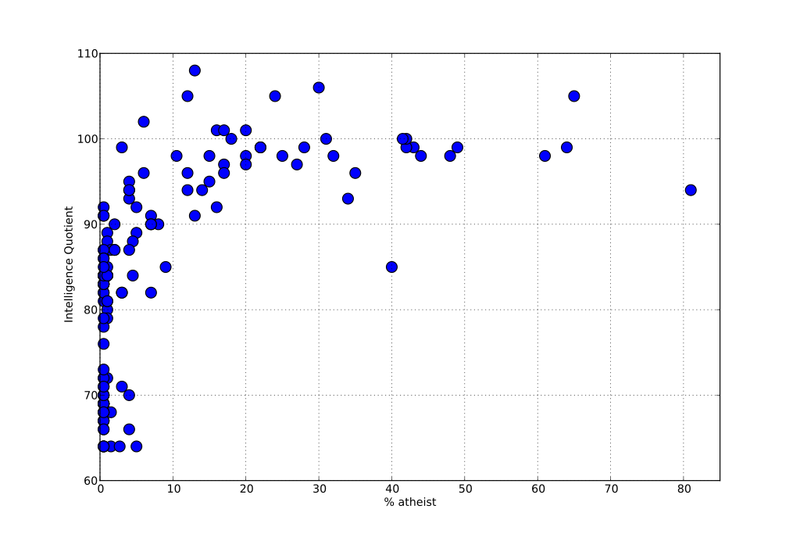 The authors reported a correlation of 0.60 between atheism rates and level of intelligence, which was determined to be “highly statistically significant”. The Lynn et al. paper findings were discussed by Professor Gordon Lynch, from London’s Birkbeck College, who expressed concern that the study failed to take into account a complex range of social, economic and historical factors, each of which has been shown to interact with religion and IQ in different ways. Gallup surveys, for example, have found that the world’s poorest countries are consistently the most religious, perhaps because religion plays a more functional role (helping people cope) in poorer nations. Even at the scale of the individual, IQ may not directly cause more disbelief in gods. Dr. David Hardman of London Metropolitan University says: “It is very difficult to conduct true experiments that would explicate a causal relationship between IQ and religious belief.” He adds that other studies do nevertheless correlate IQ with being willing or able to question beliefs. Other correlations between national IQs and other factors are available, Richard Lynn and Vanhanen claimed that national IQs are correlated with per capita income at a correlation of .73. However, when long GDP (1975 – 2003) were used, the correlations increased to .82 for 81 nations. Further study confirmed the results for 185 countries (r =.65) and for 152 countries (r =.76). 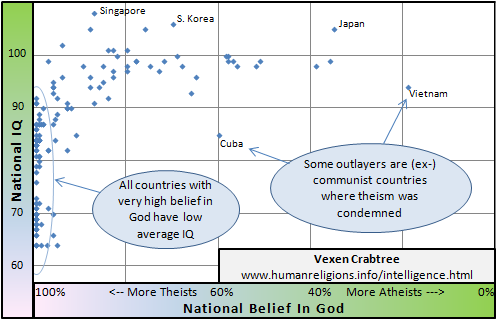 According to biopsychologist Nigel Barber, the differences in IQ between atheists and religious people by countries is better explained by social, environmental, and wealth conditions than by levels of religiosity. He notes that countries with more wealth and better resources usually have more atheists and countries that have less wealth and resources have less atheists. For instance, countries that have poverty, low urbanization, lower levels of education, less exposure to electronic media that increase intelligence, experience diseases that impair brain function, low birth weights, child malnutrition, poor control of pollutants like lead, have more issues that reduce brain and IQ development than do wealthier or more developed countries. Researcher Gregory S. Paul suggests that economic development has a closer relationship with religiosity. He argues that once any “nation’s population becomes prosperous and secure, for example through economic security and universal health care, much of the population loses interest in seeking the aid and protection of supernatural entities.” Other studies have shown that increased wealth is correlated with a decline in religious beliefs. 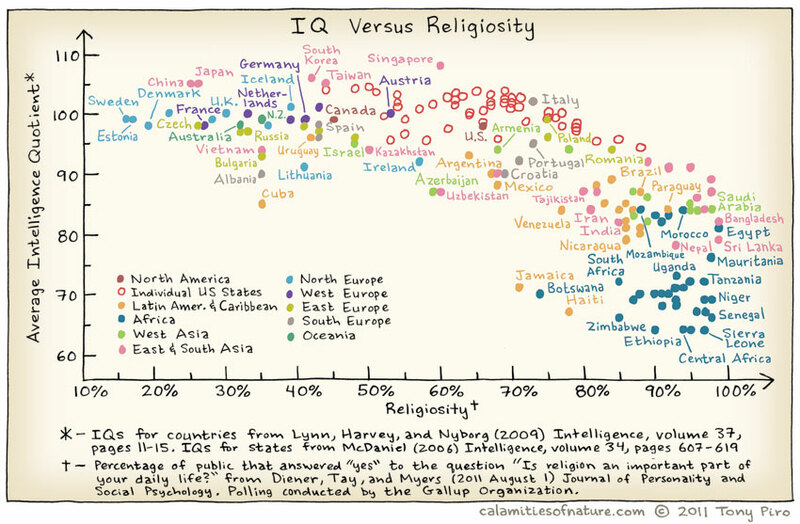 Indeed, the majority of the nations that showed a strong relationship between low religiosity and high IQ in the 2008 study were developed nations.